Of course, you’re no longer confined to your backyard like you were back in 1997 when the Great Backyard Bird Count (GBBC) launched. Sixteen years later and the GBBC is going global. Anyone around the world with Internet access can participate. The basic count format is the same. 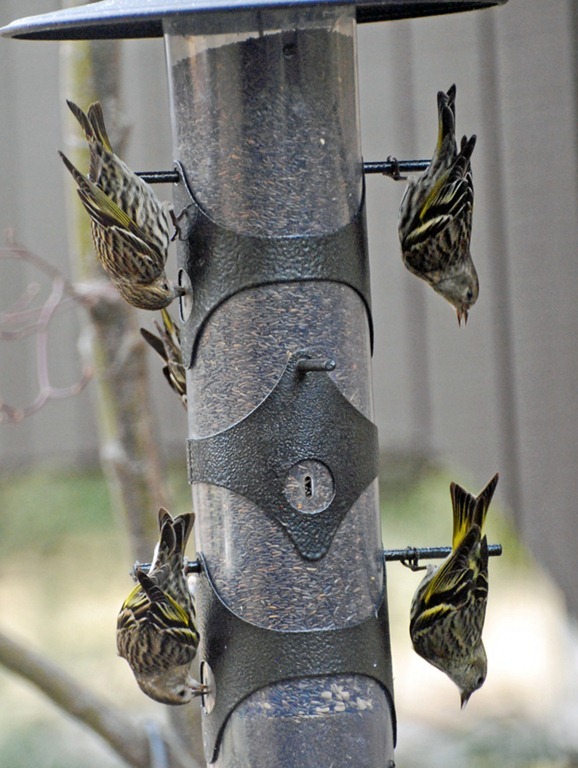 One watches at any location for at least 15 minutes – and yes your backyard feeders are still relevant – record the species seen and the number of individuals of each species. In concert with the new global initiative there will be some changes regarding how you submit your data. This year, for the first time, you will have to register to enter your count data. Registering will automatically integrate your GBBC data with eBird. Created in 2002, eBird is a joint venture between the Cornell Lab of Ornithology and the National Audubon Society. Originally covering the Western Hemisphere, eBird went global in 2010 paving the way for a global GBBC. For you birders who already have an eBird account, you can enter your data there and it will be automatically included in the GBBC database. There are four days to count, February 15 – 18. And since you’re only required to spend 15 minutes at any one location you can hit as many or as few of your favorite bird haunts as you have time for. And it’s useful data. It’s not hard to imagine the myriad logistical conundrums presented by trying to understand the biology of these amazing winged marvels, many of which will traverse thousands of miles in any given year. No single ornithologist, nor single university nor single organization could ever hope to single-handedly keep track of all the variables. But data from citizen-science projects such as the GBBC, the Christmas Bird Count, International Migratory Bird Day along with databases like eBird provide scientists with much needed, valuable data regarding population and/or range/distribution fluctuations. There were more than 104,000 checklists submitted from last year’s GBBC. Those checklists documented 623 species and more than 17 million birds. Think about that extrapolated around the world. It will surely take some years to get a true global picture, but imagine the benefits if it gets to that point. There are more than 10,000 species of birds worldwide. Just think what it could mean to avian conservation to have an annual snapshot of where the majority of those species were and what their population status was. To learn the ins and outs of the GBBC, including directions on how to register go to http://www.birdsource.org/gbbc/ and follow the menu on the left hand side of the page. Once the count starts on February 15 you can go to that website, follow the prompts and discover who is seeing what around the world. I will be heading to Louisiana again this year to visit family and friends and count at Black Bayou Lake National Wildlife Refuge. There is an added impetus to the Louisiana tour this year. Izzy (my fifth grader) has chosen Louisiana as the focus of her PowerPoint presentation for her media class so we’ve added days for her to see and learn about my home state. Besides Black Bayou, we will also be doing a swamp tour in the Atchafalaya Basin, and then on to the Big Easy; expect reports from the road.